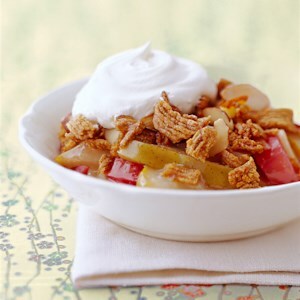 Find healthy, delicious rhubarb recipes, from the food and nutrition experts at EatingWell. 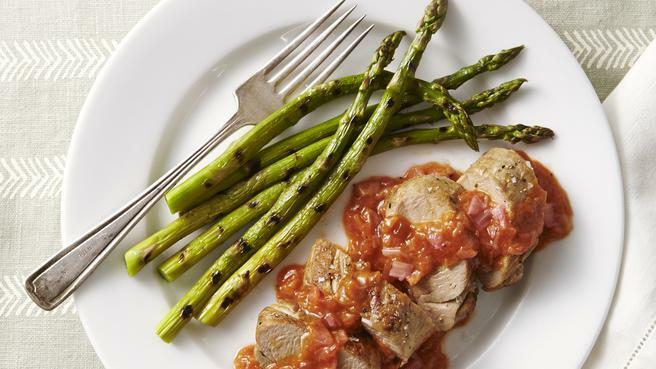 We are challenging ourselves to eat 30 vegetables in 30 days! 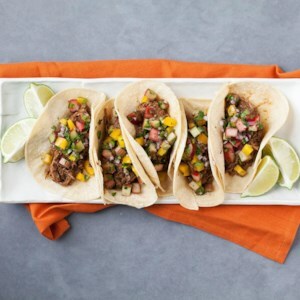 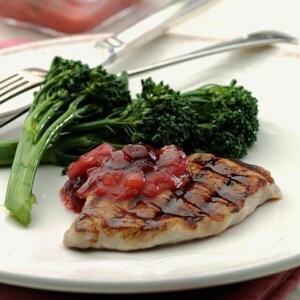 Join us for healthy recipes to try a different vegetable every day. 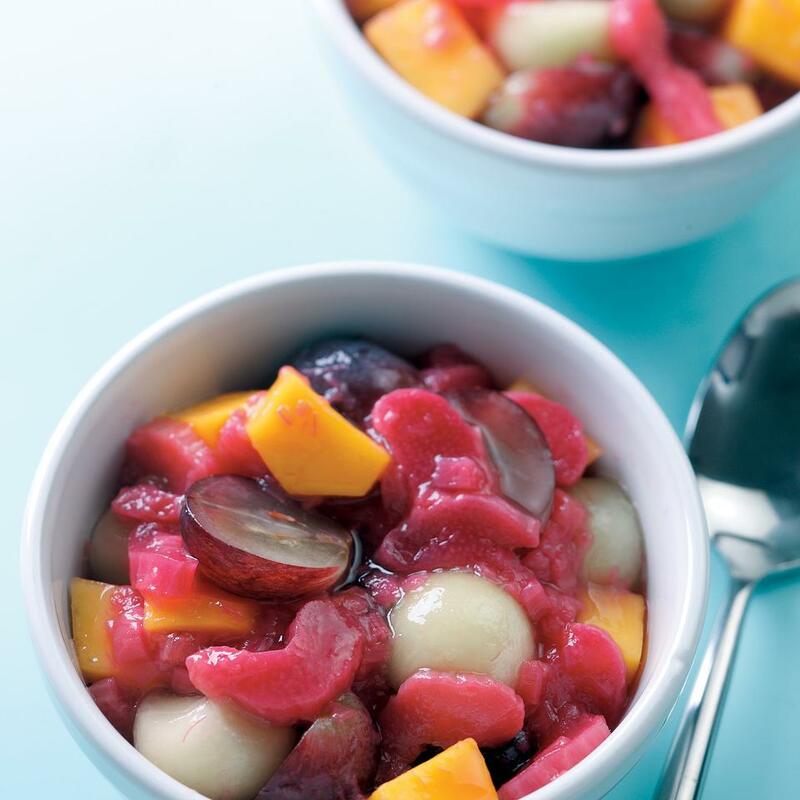 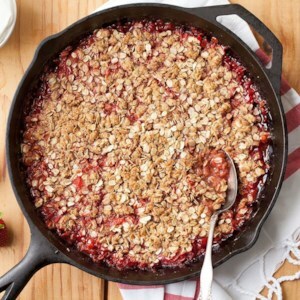 Make a fruity crisp in just one pan with our healthy cast-iron skillet dessert recipe. 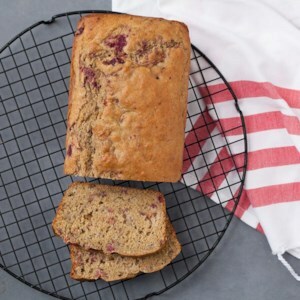 Want it gluten-free? 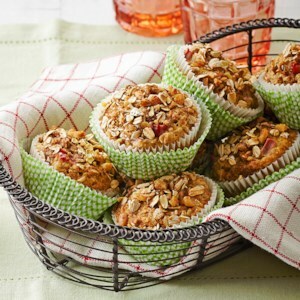 Swap the oats for gluten-free rolled oats. 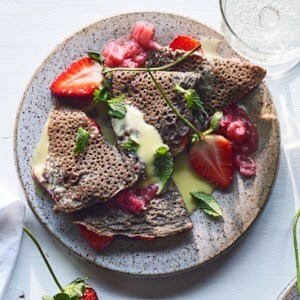 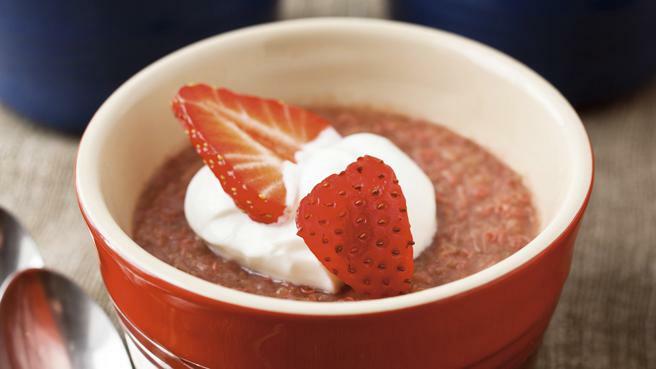 This healthy quinoa pudding recipe is flavored with tart rhubarb and sweet strawberries and topped with yogurt for a delicious, healthy dessert. 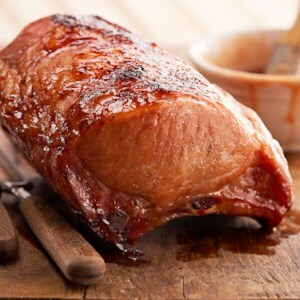 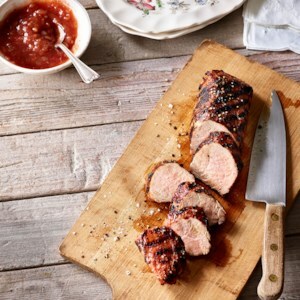 In this pork tenderloin recipe, rhubarb cooks with ketchup and cider vinegar to make a tangy, healthy barbecue sauce. 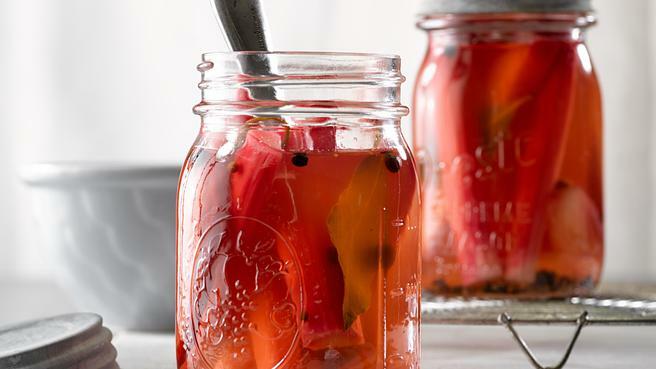 Turn happy hour into healthy hour with this cocktail that curbs carbs! 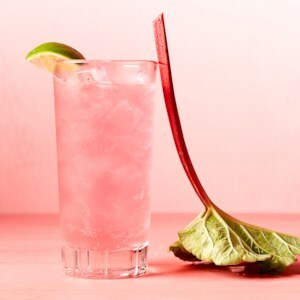 The Rhubarb Syrup in this recipe has five times less sugar than traditional syrups, and by using club soda in the cocktail--instead of tonic water--there are fewer calories. 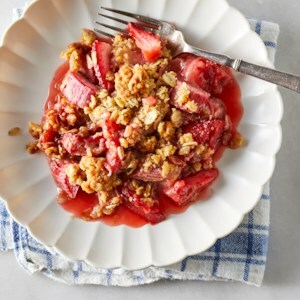 Sweet strawberries and tangy rhubarb nestle into a flaky, buttery crust for a pie so beautiful, you almost won't want to cut into it. 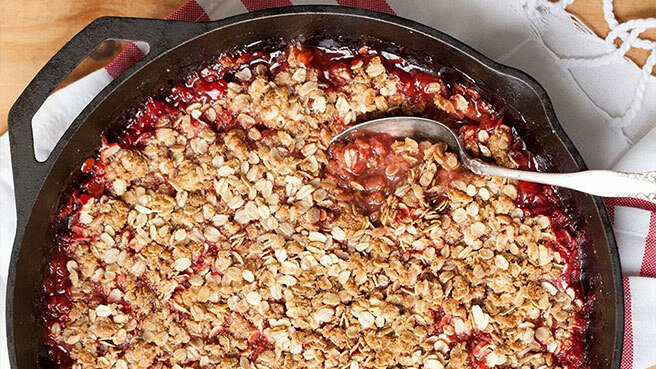 A slab pie is the ultimate dessert for time-crunched cooks: it's baked right in a jelly roll pan and makes enough to serve a crowd. 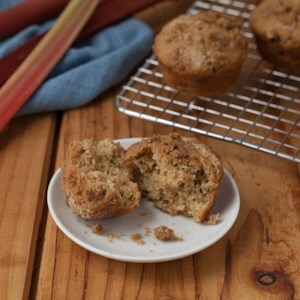 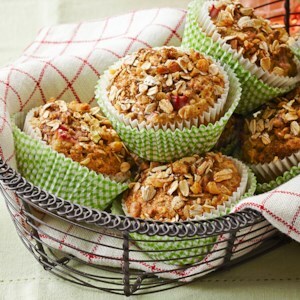 Cardamom lends a fragrant flavor to these whole-wheat rhubarb muffins that are great for a healthy snack or grab-and-go breakfast. 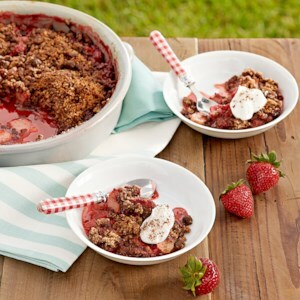 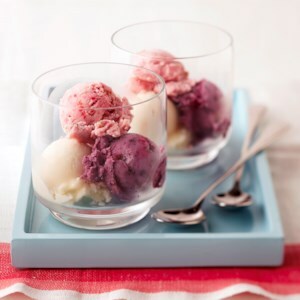 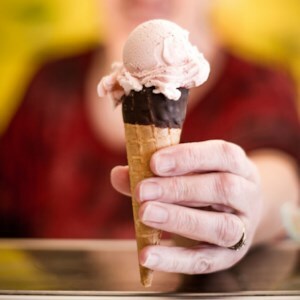 If using frozen rhubarb, measure it before thawing and drain excess liquid before using. 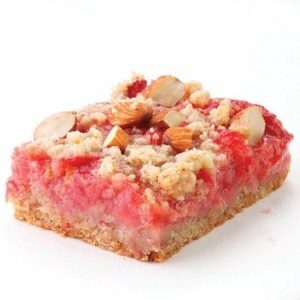 Strawberry and rhubarb are a classic combination--try them in these easy-to-make fruit bars. 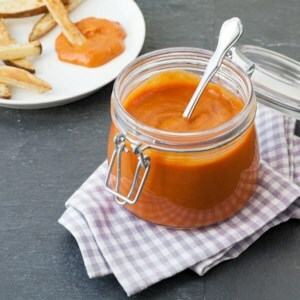 This quick, zesty chutney complements almost any meat or poultry. 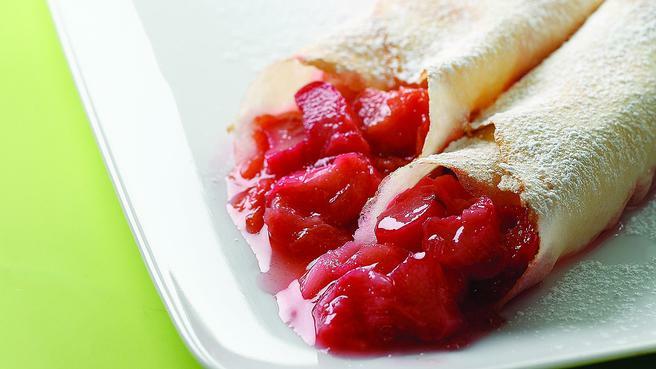 Use fresh or frozen rhubarb. 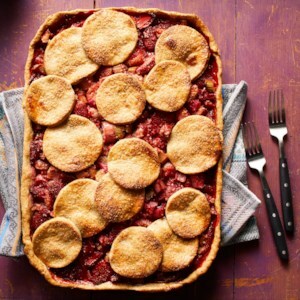 This savory-tart-sweet combination takes the classic pairing of pork and fruit to a whole new level. 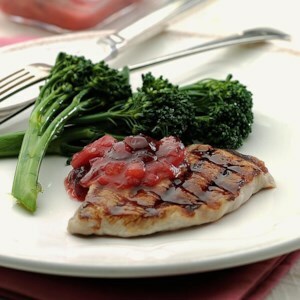 We've used boneless pork chops because they're quick to cook, and given them a boost of flavor with a simple spice rub.